Late payments are a constant headache for many small UK businesses who rely on a steady income for healthy cashflow and continued growth. 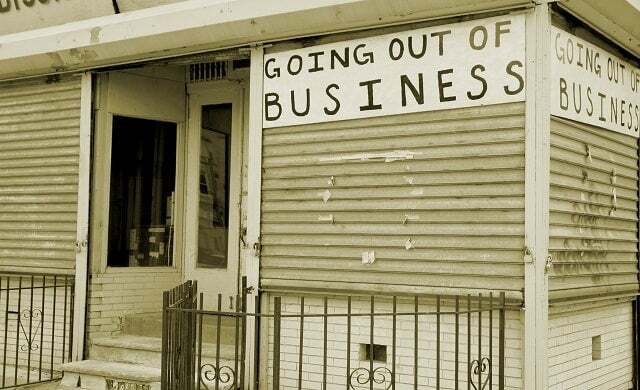 But, if you’re one of the third of small businesses that find themselves regularly chasing payments from customers it could be more than an inconvenience, it could be a sign that your business is about to fail. According to research from Bacs, British firms were owed £14.2bn last year, whilst The Wow Company found that two out of three companies only have enough cash reserves to last three months or less. So, if you don’t want to be one of the 50,000 British small businesses that are forced to close every year due to late payments, what can you do to protect yourself? If you want to make sure your business is healthy you need to know your numbers. Many small companies don’t. In fact, almost half of UK businesses with fewer than 10 employees don’t know what their break-even point is – when the cost of production is equal to the cost of your products or services and you turn a profit. If your business isn’t in profit and has no cash reserves it’s vulnerable. You need to be diligent about tracking orders, takings, margins, and costs so you’re ready to respond if you realise your short on cash before the situation becomes critical. You should monitor these figures weekly or even monthly and calculate net profit to assess the financial health of your company. Running the business numbers regularly won’t just help you know how much of a financial cushion you have in preparation for a disaster, it will also allow you to take advantage of an opportunity when you’re doing well. If you can pinpoint the weak spots in your business you can address them and make your business less vulnerable to late payment issues. Are you being paid quickly enough by your customers? Are you using effective accounting systems to issue and chase invoices promptly? Have you got adequate processes in place to deal with late payments when they happen? Patching up these vulnerabilities could be as simple as upgrading your accounting software, or using direct debit as the primary payment method offered by your business, meaning customers will pay automatically. Establishing a culture of efficient payment practices and adopting the latest tech solutions will make it easier to manage your accounts and keep aged debtor analysis up to date. This is how much a customer owes analysed by how long the debt has been outstanding. If you want to reduce your risk, you should look to reduce debtor days. It’s not all bad news: recent research from Bacs showed that whilst many small businesses are still suffering at the hands of tardy customers, the total amount owed to UK businesses has been cut in half in the last five years. Whilst advances in accounting technology has had a considerable part to play in sending out invoices and collecting payments, tried and tested payment practices such as direct debit are being discovered by more and more small businesses. Direct debit approves your business to automatically take regular payments from your customer’s bank account. If you want your business to thrive and survive then getting on top of late payments with automatic payment methods is a good starting point to ensure longevity. Don’t leave situations to get worse; create a culture amongst your business and your customers of trust and punctuality.